Hey friends! 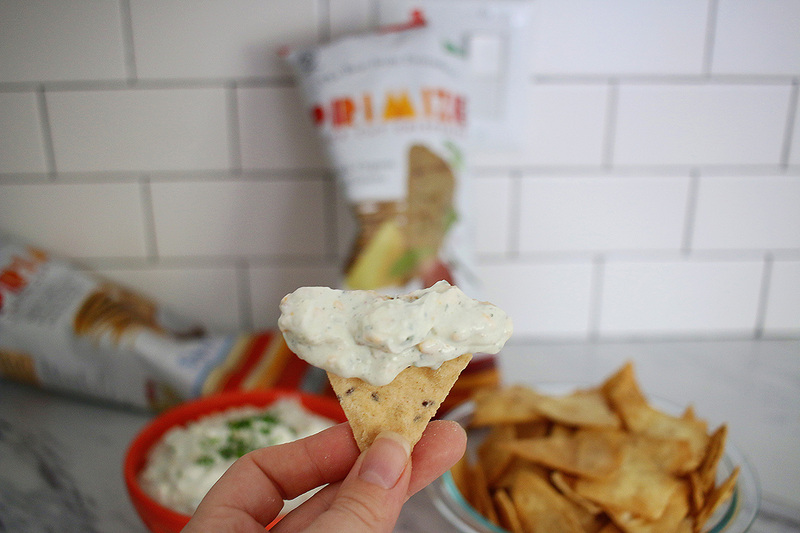 I’ve teamed up with Primizie Crispbreads to create a go to summer dip recipe! When figure out what exactly I wanted to do, I thought back to my favorite things to eat at a BBQ. And that, my friends is jalapeño poppers! 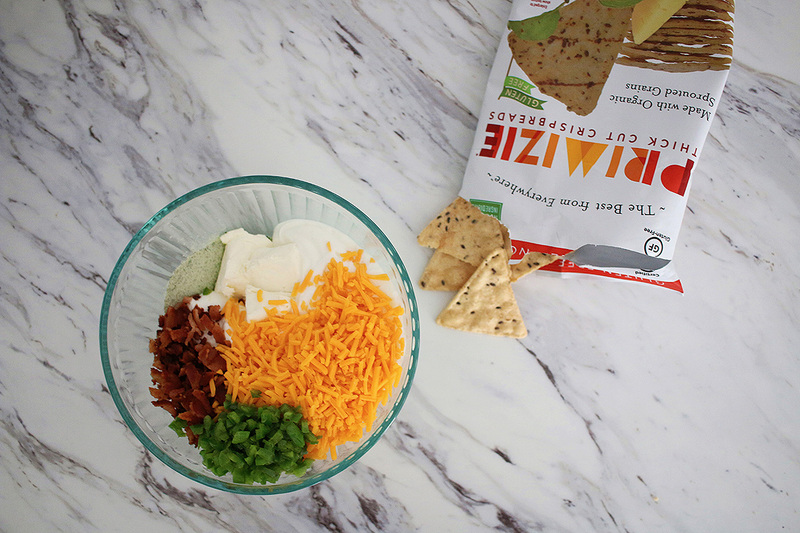 So I went to work in the kitchen to create this delicious recipe that will have you piling it up on your Primizie Crispbreads, don’t worry they are hardy crisps so they can handle your dipping habits without breaking in your dip. Don’t you just hate when that happens?! And then it sinks & then you have to figure out where it is before it gets all gross? 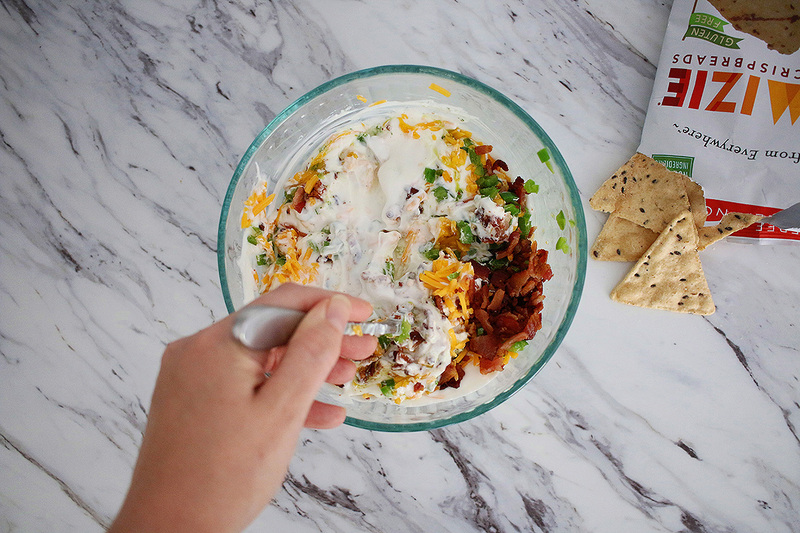 And now I introduce the dip recipe that will have everyone coming back for more & more! Believe me, after creating this recipe I packed it over to take to a party & it was gone QUICK! 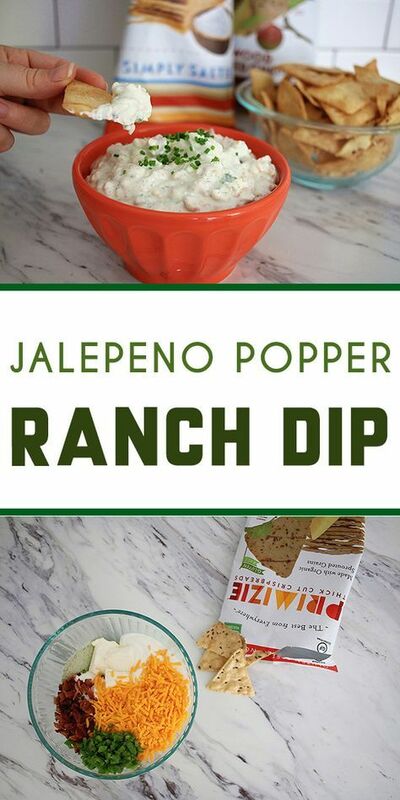 For your snacking & entertaining enjoyment, Jalapeño Popper Ranch Dip! By the way, Primizie can be found in the deli area of your local HEB market! 1. Cook bacon until crisp. Once cooled chop or crumble finely. Save 1 tbsp bacon fat. 2. Mince jalapenos & saute in reserved bacon fat until soft. 3. 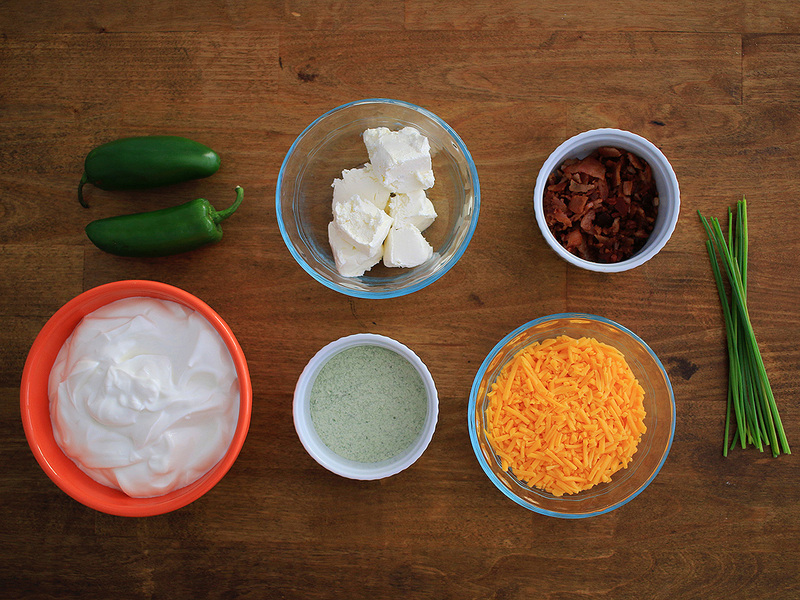 Mix all ingredients except chives in a bowl. 4. 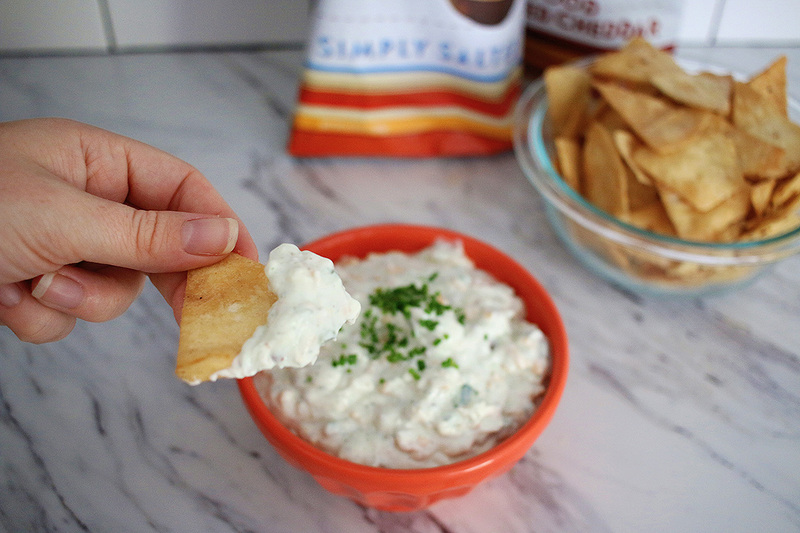 Chop chives finely & dress the top of your dip with them. 5. 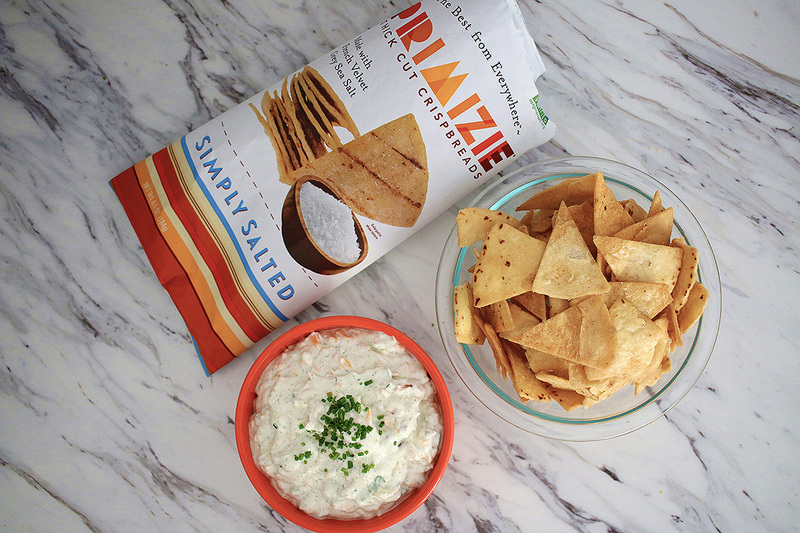 Pair with your favorite Primizie Crispbreads & ENJOY! Check out the rest of my easy & delicious recipes out for more inspiration in the kitchen! Could this be made the night before and stored in the fridge? I want to try this recipe..